We love new handbags, but beautiful handbags. 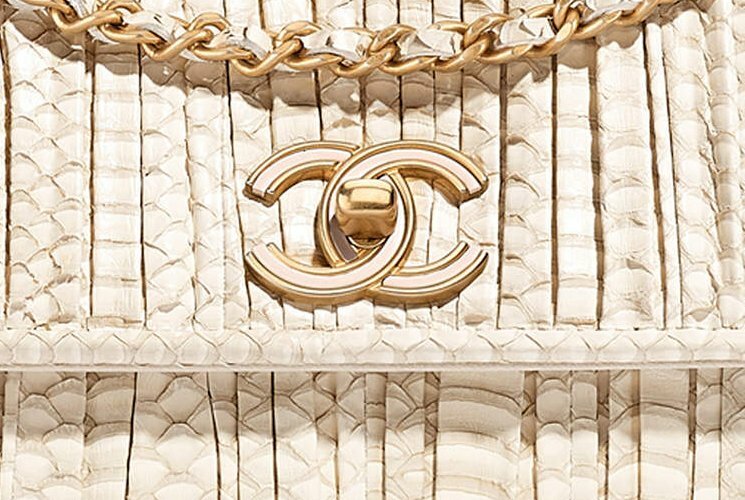 And when we’ve spotted the Chanel Elaphe Clutch from the Cruise 2018 Collection, we knew we’re onto something. This bag is unique because it is a limited seasonal piece and the design is inspired by the Ancient Greek. It got everything to be named a ‘timeless beauty’, but are you willing to take a chance on something new. This Coco Pleats Clutch with Chain is not like the Coco Pleats Clutch Bag, although some parts look quite similar. 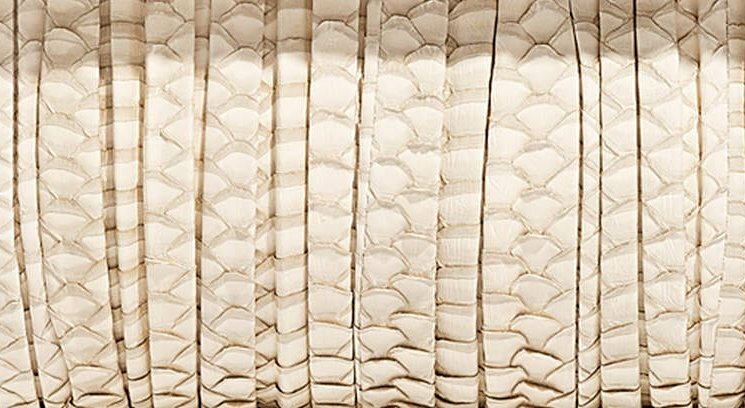 In fact, this Coco Pleats Clutch is made from Elaphe, which an exotic leather (thus also explains the higher price). And also it comes with that chic woven chain leather strap, which is stunning! This handbag has a nice curvy and feminine shape. It’s like a small handbag that fits perfectly with almost any outfit you want (especially in the beige shade). It’s an elegant bag for the modern woman, featuring a newer version of the CC logo. If you look closely at the CC, you can see that the inside has a different color. 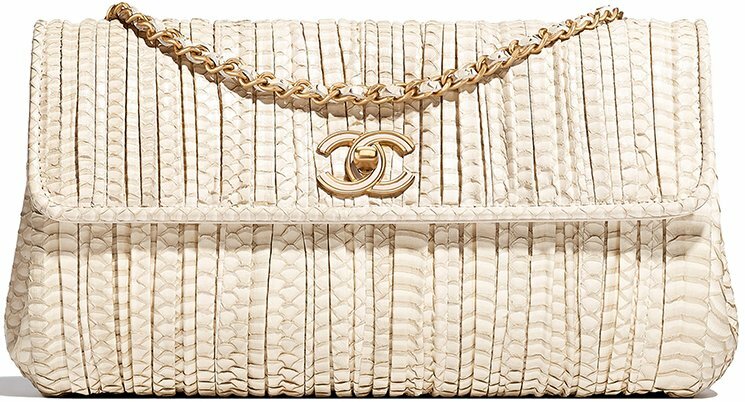 Even tough it’s named a clutch, this bag is definitely larger than the Classic Quilted WOC. In fact the WOC is measured 4.8’ x 7.6’ x 1.4’ inches while the Coco Pleats Clutch with Chain is sized at 6.7’ x 10.6’ x 2.8’ inches. So this bag is bigger in every way and the interior is obviously also roomier. Style code A57033, measuring 6.7’ x 10.6’ x 2.8’ inches, priced at $7000 USD, $9750 CAD, €7000 EUR, £6490 GBP, $11760 SGD, $61000 HKD, $10880 AUD, ¥930960 JPY, 36970 MYR via Chanel boutiques.